I began a full time career as an artist mostly painting endangered species and began a life long journey around the planet studying animals such as lions, tigers, elephants, bears and numerous other wild life species. My work has developed into a number of varying approaches in that time. My Travels have taken me to America, Alaska, Canada, Asia, South America, Australia, Europe, The Islands of the Pacific, Japan and many other countries. 1988 - I began work on the Book ‘The Atlas of Parrots” which was one of the largest editions of its type in the world. The book is displayed in the New York, London and Paris Natural History Museums. 1991 - I returned to Africa and India to study the animals again, mostly a photographic trip for new material for my work. I moved to the United States in 1992 and began work with the Bureau of Land Management assisting in the Peregrine Falcon research program. My work was spending large amounts of time in the wilderness studying the birds and also abseiling down to the eyries to band the birds and check for egg thickness. 1993 - I moved to the mountains of the Sierra Nevada’s and took up lodging in a log cabin home. I studied the animals of the high mountains there. 1994 - I purchased a 40 foot RV and made my way once again back to Alaska. Where once again I studied the many and varied animals of the North, spent time with the Eskimos learning about cold winter survival.0 - I began to put together another project called, Put some colour in your life. I went back to College and obtained a degree in Multimedia and movie making. I developed a TV series about artists in their studios; similar to the two hairy bikers meets Bill Connolly. In that time it was nominated for a 2012 Logie nomination. Seven years on and the series has gone global with hosts and film crews in a number of countries. Tens of millions of people have seen the show and watched the amazing artists that we have showcased over the years. I also created the Paint Your Life Foundation in 2015 which enabled artists to teach the elderly in nursing homes, disabled children and also in-mates in jail for rehabilitation. 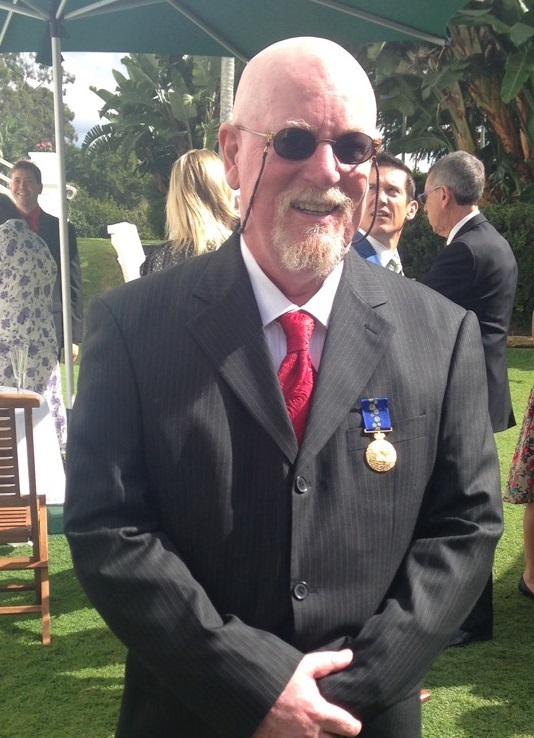 In 2016 I was recognised by the Australian Government and the Queen for my services to the visual Arts across the world and was awarded the OAM (The Order of the Medal of Australia) in 2017. I have also made the front covers of US Art twice and had featured Articles in many other magazines across the world. The series and my art career continue to cross the globe. I have had numerous Art exhibitions in a number of countries and my work has been collected by the likes of President Bill Clinton and many other celebrities around the world. In 2017 I held my first solo exhibition in Australia for almost two decades at Red Hill Gallery.